I have suggested many times that giving the public a peak at what things look like behind the detours and road closures can only help tell the transportation story. The Washington State Department of Transportation team regularly does this, and the public seems to enjoy it. Recently, the WSDOT team took advantage of an annual bridge closure to get some additional road work completed. The project itself, while awesome to watch, is not necessarily the most amazing work the agency has underway right now (for instance, check out the Alaskan Way Viaduct replacement project). But the peek at what a weekend closure can accomplish certainly impressed WSDOT’s customers. 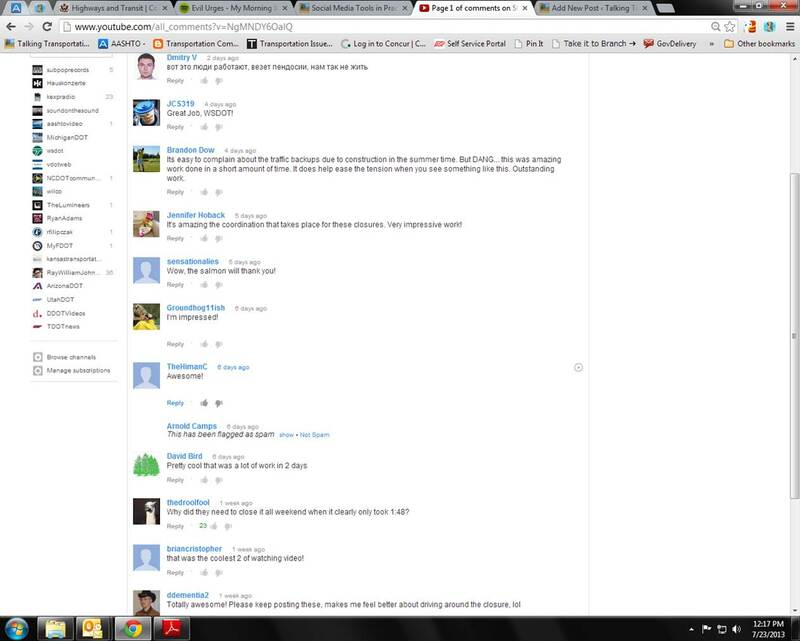 Take a look at the comments left below the video. YouTube is often the place where the worst of people comes out in the comments. But in this case, the public truly appreciated the effort WSDOT made to look behind the scenes.